Email, Direct Marketing & More! Focusmarketingonline.com can find your audience! At FOCUS Marketing we strive to meet the needs of our clientele. We offer comprehensive services for agencies, list brokers, and business owners alike to make this happen. Read more about our services and how you can put FOCUS Marketing to work for you. Email marketing has become a staple in so many companies’ marketing plans that it is hard to argue that it is quite possibly the world’s easiest and most affordable form of direct marketing. 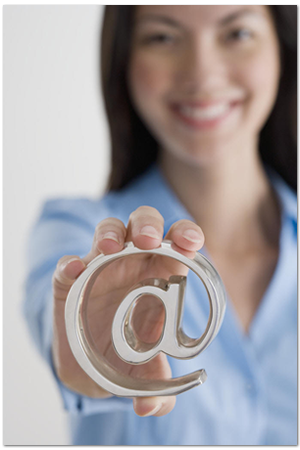 Email targeted marketing is a great way to reach new customers, and to gain a new angle with existing customers. With FOCUS Marketing we research the type of customers you are looking to reach based on our demographic and psychographic information as well as highly geo-targetable data over-lays within our databases. We have an opt-in list of over 900 Million+ U.S.A/International subscriber profiles and we continue to see growth and great client success with each email deployment we send. If you are looking to rent an email list, or have criteria you want us to research for you, drop us a line today and we can get you a custom count, and quote! We look forward to making your next campaign a success! Much like email marketing, SMS is a powerful direct method to market to users online. The SMS text message delivery is quick and easy, but unlike email it is sent directly to a user’s smartphone and is received with a higher priority than email. With our click-to-call or tap-to-site options you have the felixibility you need to make any mobile campaign a success. Not looking for SMS? No problem, we also offer mobile banner networks based on impressions. If you have interest in running a mobile banner with us please contact us today for more details on pricing and plans available for that service. Already have a database? Missing some information or missing the most important info? No problem! At FOCUS we have a huge database of registered opt-in subscribers and we can leverage that database to match data to your existing customer database to help you reach more people in more ways than you thought possible. We can match phone to postal, email to postal, postal to email, and address to phone records as well. Our match rates range between 20-60% depending on size of your database. Please contact us today for more details. As an auto dealership you understand that marketing is key, and customers do not grow on trees. With our superb email database and the power of Polk Automotive we have the ability to over-lay our data against a custom based algorithm to find the most active list of car buyers in the USA. With Polk’s predictive technologies and consumer driven information services we can send a list of buyers direct to your offers and deals. Depending on your needs FOCUS can provide the creative, incentives, offers and email deployments. You just wait for the customers to walk in and buy. Contact us today for more information regarding this elite service. In addition to our already robust database we have also captured the voter preference and information from over 125 million USA voters. This data is great for election times whether it is a small county election, or the presidential elections. Our voter data is concise, and the results are outstanding. We can segment based on voter preference, political party, affiliations, donor status and all of our other demographic/psychographic information. At FOCUS we understand planning a market strategy is tough enough, but creating the design that will catch your audience’s attention is even harder. At FOCUS we take the guess work and the hard work over for you, when it comes to creative design and content. Let our creative experts with more than 15 years experience lead your marketing strategy into the next level. For pricing and information on our creative services please contact us. In addition to the above direct marketing services FOCUS Marketing also offers the following research and marketing services. If you have questions or would like to hire us, please use our contact form and send us an email today. We would love to hear from you. FOCUS Marketing Services has an extensive database of vacation lovers and affluent travelers that love to hear about new vacation deals, cruises, special offers on time-shares and so much more. Whether you are a big travel company looking to promote your next big offer, or a small time-share company looking to reach some new clients FOCUS can help make it happen. We have the quality data and demographic as well as psychographic over-lays to make your marketing project a huge success. Give us a call today or contact us via email today to find out more about our exclusive Travel and Time-share marketing programs. Have a question? Want to learn more about how FOCUS can help you reach your target audience? Contact us today!